(Rockwall, TX) — Rockwall Independent School District has selected Paragon Sports Constructors for the Rockwall High School Multi-Purpose Synthetic Turf Field Improvement Project. The project was engineered by Jeff Bresee of SET Engineers and construction is set to begin in February with substantial completion at the end of May. The scope of work includes demolition of the existing site, subgrade stabilization, construction and installation of the new drainage system, flatwork, fencing, netting and synthetic turf surface manufactured by Shaw Sports Turf. 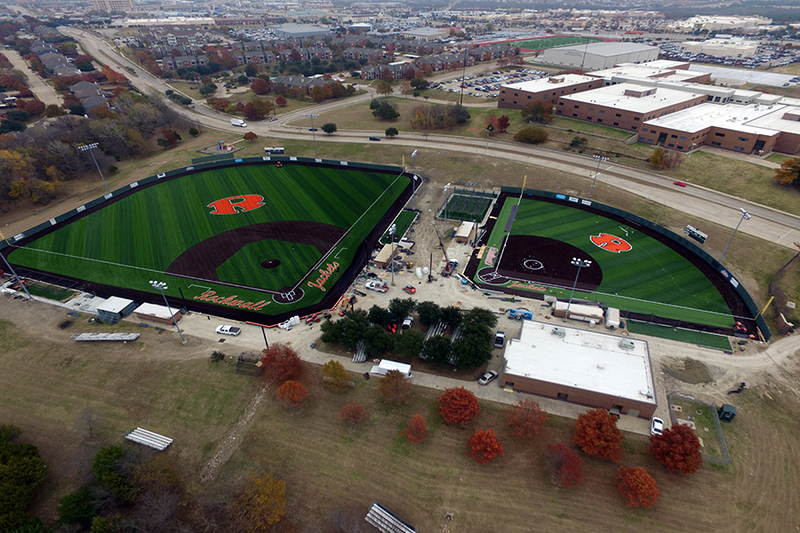 In 2016, Paragon Sports Constructors built and installed the synthetic turf baseball and softball fields at Rockwall High School and Heath High School. A wholly-owned subsidiary of Berkshire Hathaway Inc., Shaw Industries is a full flooring provider to the residential and commercial markets. Shaw supplies carpet, hardwood, laminate, resilient, and tile/stone flooring products, as well as synthetic turf. Shaw Sports Turf is one of the leading synthetic turf companies in North America and has represented quality and innovation for more than two decades with over 2,000 successful installations, including an impressive list of high-profile field installations. For more information please visit http://shawsportsturf.com, call 866-703-4004 or find them on Facebook. Arlington, Texas–The Texas Rangers have announced that the club will install a specially designed synthetic grass playing surface for the new Globe Life Field which opens in March 2020. The decision to utilize a synthetic grass playing surface was made after the Rangers organization completed almost two years of research to satisfy the club’s total requirements for player safely, team performance, and fan experience. Paragon Sports Constructors is a turn-key contractor of natural and synthetic turf sports fields, running tracks and tennis courts based in Fort Worth, Texas. 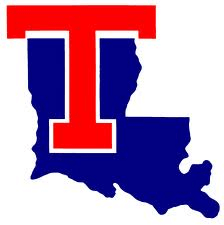 With over 30 years of sports construction experience, they are one of the premier athletic facility contractors in the South-Central United States. Paragon Sports Constructors remains focused on quality construction practices, choosing to partner with top brand name manufacturers of synthetic turf, track, and tennis court surfacing. As a member of the American Sports Builders Association, Paragon’s mission is to build the finest athletic facilities and to provide clients a consistently high-quality project and experience from planning to first use and beyond. For more information on Paragon Sports Constructors please visit www.paragon-sports.com or follow them on Twitter @ParagonSportsCo. A wholly-owned subsidiary of Berkshire Hathaway Inc., Shaw Industries is a full flooring provider to the residential and commercial markets. Shaw supplies carpet, hardwood, laminate, resilient, and tile/stone flooring products, as well as synthetic turf. Shaw Sports Turf is one of the leading synthetic turf companies in North America and has represented quality and innovation for more than two decades with over 3,000 successful installations, including an impressive list of high- profile field installations. STRENEXE, BOLT, BATTING A THOUSAND and B1K are trademarks of Shaw Contract Flooring Services, Inc. For more information please visit www.shawsportsturf.com, call 866-703-4004 or find us on Facebook, Twitter, Instagram and Linkedin. Geofill is a registered trademark of Italgreen SPA.